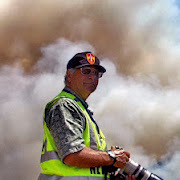 David "Doc" DeMulle starts more fires than he puts out. Brock Baj'er has been sleeping and was rudely awakened by Doc DeMulle of The Foothills Paper infamy, digging up dirt and going out of his way to step on her while she remained on the sidelines. The Badger is mad. The Badger is launching a campaign to boycott The Foothills Paper: the only "paper of record" to spew dirt on the community it professes to serve.